Kaya is a delicious Malaysian jam made with coconut, eggs and caramel. Rich and aromatic jam which is perfect for toast and a cup of coffee. Crack the eggs into a big bowl or container, follow by the coconut cream, coconut milk, and sugar. Whisk well, or using an electronic hand mixer, whisk the mixture well. Filter the mixture with a strainer. Transfer the egg mixture into a sauce pan (non-stick preferred). 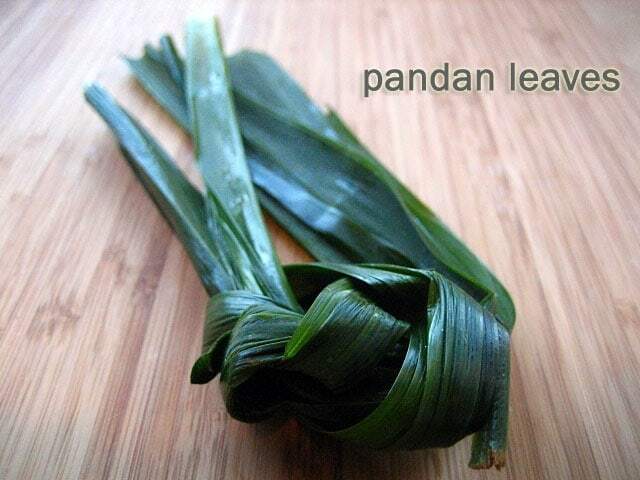 Add the pandan leaves into the egg mixture and turn on the heat to medium low. Using a wood spatula or a pair of wooden chopsticks, keep stirring the mixture until they are cooked, about 20 minutes. To thicken the kaya, add the corn starch mixture, stir to combine well with the kaya. Please take note that lumps will form in the jam. In the meantime, heat up the sugar for the Caramel in a sauce pan until the sugar melts into caramel. When the color becomes golden brown, add the caramel into the kaya, stir to combine well. The color of the kaya should be golden brown. Turn off the heat. Let the kaya jam cool down, discard the pandan leaves and transfer the kaya to a blender. Blend until it reaches a silky smooth consistency and without lumps. Transfer the kaya to a jam bottle. You can keep it in the fridge for about a week. Use fresh coconut cream and coconut milk if possible. I used Kara brand coconut cream and coconut milk. If you like your kaya lighter color, use 50 g of sugar for the caramel. I used 75 g. My aunt told me that I can use 3, 4, or 5 eggs, so it's totally up to you. I like my kaya rich, so I used 5 eggs. I also like my kaya to have a thicker consistency instead of runny, as I don't like the "watery" part of the kaya making my toast "soggy."